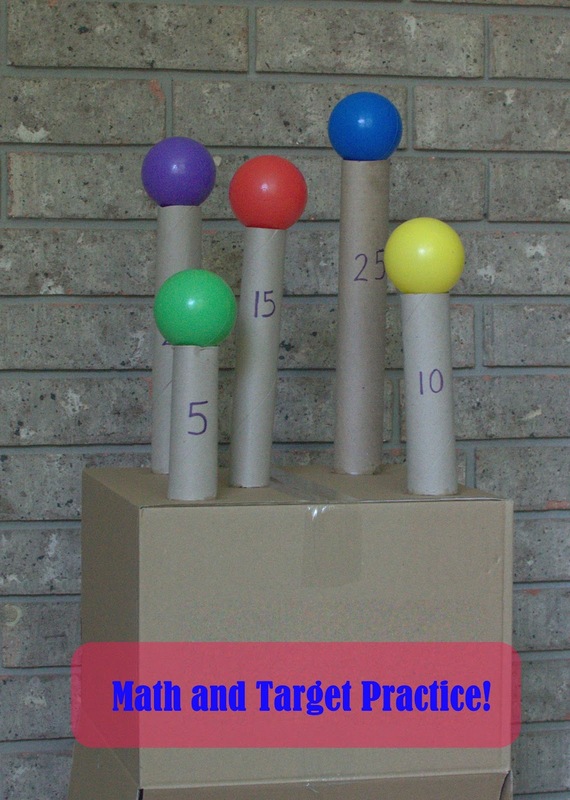 If spring break is coming up and you're scrambling with ways to entertain your kids, why not review their basic math skills and work on some target practice? 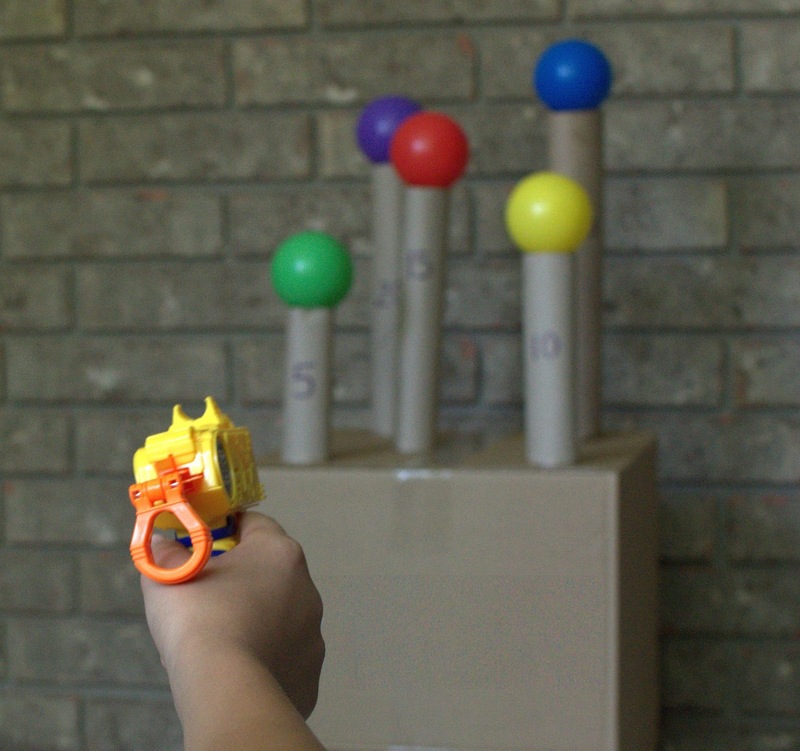 For this activity, you'll need some Nerf guns, balls, some paper towel or wrapping paper tubes, and empty box, and some glue. Cut your tubes to different heights and glue them to the bottom of the box. Write different numbers on each tube to represent their value. Have your kids aim and shoot at the tubes. As they play, they have to add up their points. This was fun for my 10, 8, and 3 year old! Thank you Frugal Fun for Boys and Girls for the fun idea. I'll be linking up to Tip Me Tuesday at Tip Junkie.